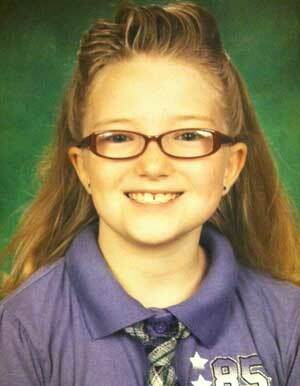 An AMBER ALERT has been issued for missing 10 year old Jessica Ridgeway. 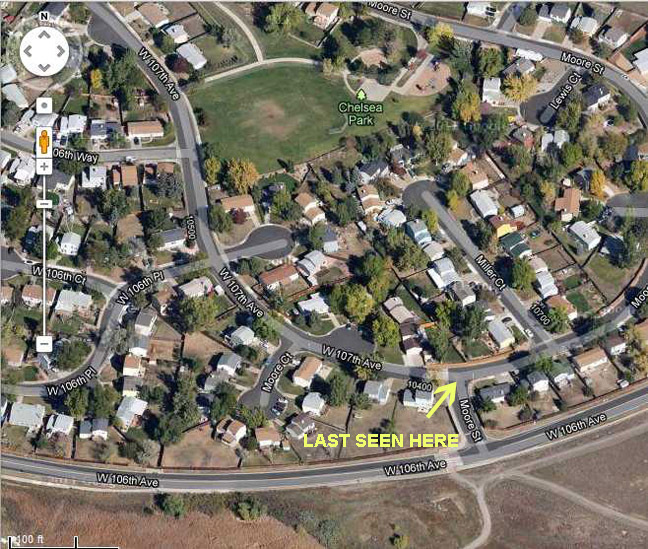 She has been missing since Friday, October 5, 2012 when she left to walk to Witt Elementary School in Westminster, Colo.. Jessica Ridgeway left her home at 8:30 AM to walk to Chelsea Park where she would meet up with her friends and then walk to school together as she did every day. HAVE YOU SEEN JESSICA RIDGEWAY? The search continues for missing 10 year old Jessica Ridgeway. The VIDEO below is from Channel 9News. Massive numbers of citizens show up to help search for missing Jessica; however, there appears to be no clues or tips of information as to what happened to Jessica Ridgeway. It is as if she just vanished. One has to wonder whether there is a connection to the story that was reported three weeks prior of students at an Arvada school that saw a man in a dark sedan trying to lure kids closer to his vehicle? Three weeks ago, students at an Arvada school saw a man in a dark sedan trying to lure kids closer to his vehicle. JeffCo schools sent letters out to all of its schools – including Witt Elementary – where Jessica attends school. Police are looking into whether there’s a connection. National Center for Missing and Exploited Children: Jessica Ridgeway. For more updates and information, to provide your opinion and analysis and read others, go to Scared Monkeys Missing Persons: Jessica Ridgeway.